The Maker Lab will be holding some workshops where you can get up close and personal with the equipment. In October we’ll be making luggage tags. 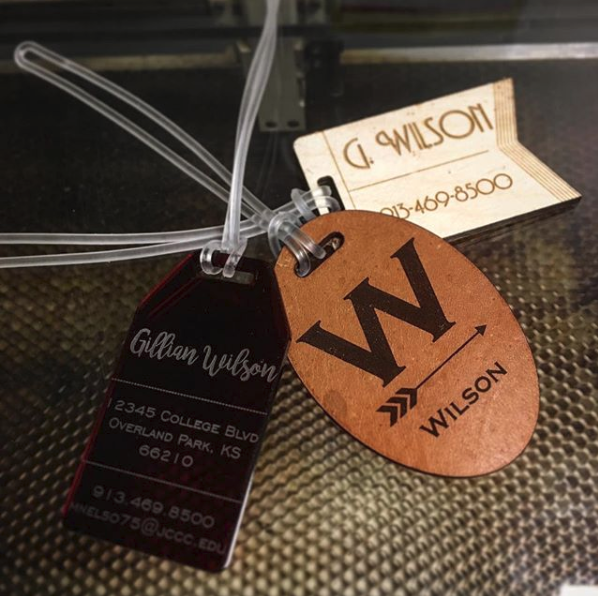 Our maker will work with you to design the tag, choose a material (leather, wood, or acrylic), and then cut it using our laser cutter/engraver. It’s yours to keep! Check out the times and register here. And keep an eye for future workshops – there’s more to come!